Cervical cancer used to be one of the major causes of cancer death in American women. That has changed with the widespread availability of cervical screening. When caught early, cervical cancer is often highly treatable. Unfortunately, cervical cancer screening is not always available. This is particularly true in many developing countries, and in areas with few financial resources for medical testing and treatment. 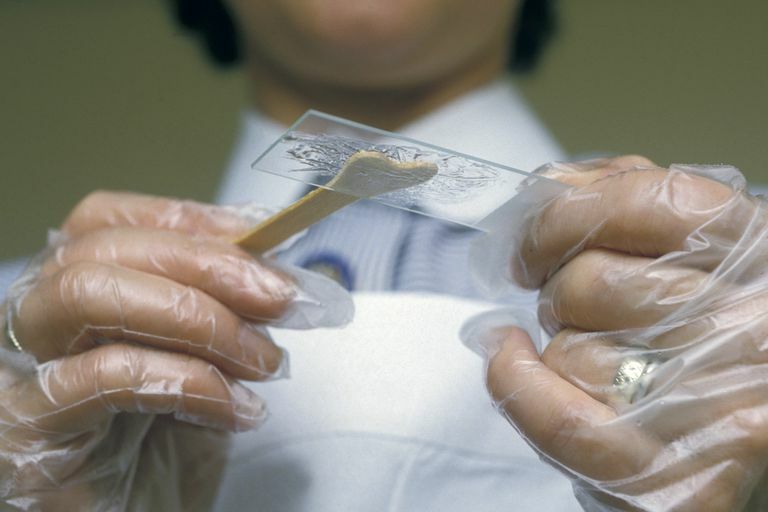 Pap smears are considered the gold standard of cervical screening. Unfortunately, they require skilled practitioners and good laboratories to be effective. HPV tests are good at identifying women at risk for cancer. However, they do not actually diagnose cancer and come at a non-trivial expense. That is why doctors have developed a test known as visual inspection with acetic acid (VIA). It is cheap, easy, and effective. What Is Visual Inspection With Acetic Acid? Visual Inspection with Acetic Acid, or VIA, sounds like a scary way to test for cervical cancer. In reality, it's quite simple. HPV tests look for HPV DNA and require skilled technicians. Pap smears look for small cellular changes in the cervix, and require a trained pathologist, VIA allows doctors to directly see lesions and other changes in the cervix that are large enough to, presumably, need treatment. The VIA procedure is quite straightforward. The healthcare provider simply swabs vinegar, i.e. acetic acid, on the cervix. Then they look for areas that change color. Normal cervical tissue remains unaffected by the acetic acid. In contrast, damaged tissue — such as that found in pre-cancerous or cancerous lesions — turns white. The provider can then remove the damaged tissue on the spot using cryotherapy or other techniques. They can also perform a biopsy for further follow-up. Most studies have found that VIA and its cousin VLI — visual inspection with Lugol's iodine — is somewhat less specific than Pap smears but more sensitive. In plain terms, that means they generally detect more early lesions but are also more prone to false positives. This could conceivably lead to overtreatment. In low-resource areas where large numbers of women are still dying of cervical cancer, some governments have decided that is a worthwhile trade-off. Overall, VIA seems to be an excellent cervical cancer screening method for use in low-resource settings. It works really well in situations where Pap smears and HPV tests are inappropriate due to either lack of expertise or high per-test cost. The general consensus is that VIA is just as useful as the Pap smear. It's just a matter of determining which one is more appropriate in any given circumstance. That depends on the financial situation as well as the availability of trained personnel for screening and followup. It is also worth noting that VIA has an advantage for traditionally under-served patients who may have difficulty coming in for follow-up care. WIth VIA, screening and treatment are done at the same visit. There is no need to wait for results and then return to the doctor. There are many people in the world for whom getting to the doctor requires enormous amounts of time, expense, and negotiation. For them being able to deal with screening and treatment in a single visit can greatly reduce the personal and financial burdens of health care. Chumworathayi B, Limpaphayom K, Srisupundit S, Lumbiganon P. VIA and cryotherapy: doing what's best. J Med Assoc Thai. 2006 Aug;89(8):1333-9. Sinha P, Srivastava P, Srivastava A. Comparison of Visual Inspection with Acetic Acid and the Pap Smear for Cervical Cancer Screening. Acta Cytol. 2018;62(1):34-38. doi: 10.1159/000484036. Qureshi S, Das V, Zahra F. Evaluation of visual inspection with acetic acid and Lugol's iodine as cervical cancer screening tools in a low-resource setting. Trop Doct. 2010 Jan;40(1):9-12.